OOOH MYYYY GOOOOOODDDDDD!!!! I need to tell you. I need to share this. I need you to try this. PLEASE try this! 2 cups of heavy whipping cream, whipped to stiff peaks and 1 can of sweetened condensed milk. Fold together and freeze! Super simple! The blog even gives you some awesome ideas for flavors and add-ins. Which, of course, got my wheels turning. I honestly don’t know where the apple pie idea came from… They suggested cinnamon bun ice cream, and I guess it just spiraled from there. 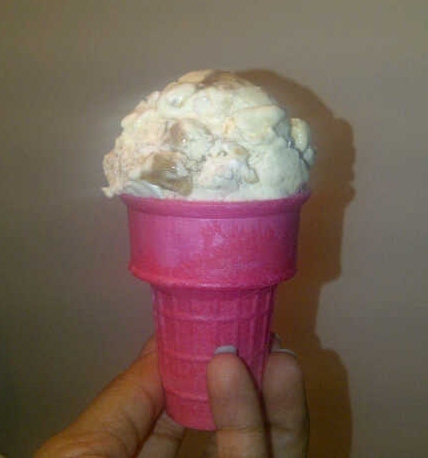 I apologize for the lack of pictures of this delicious ice cream. I would have contacted one of my photographers (who have so kindly offered their services for future posts), but it was a pajama kind of day. And Shaina don’t get dressed fa-nobody on a pajama day. 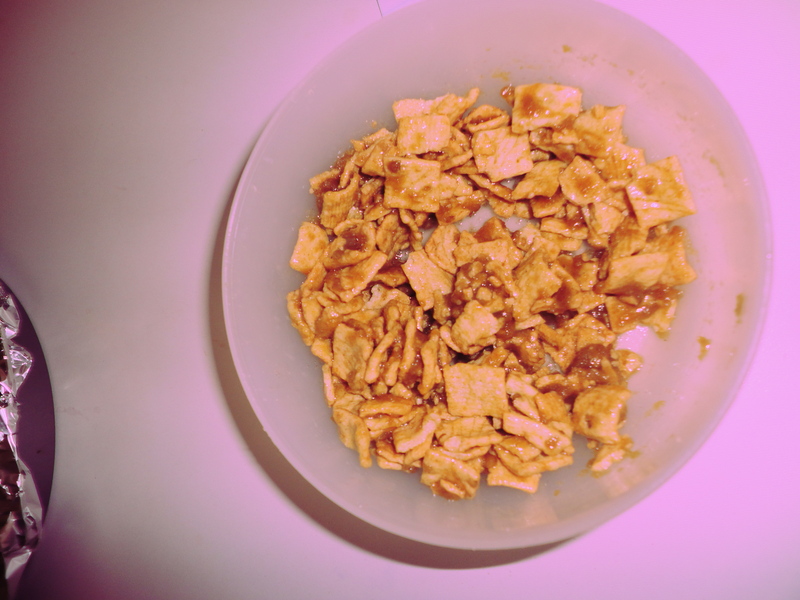 Caramelized Cinnamon Crunch: In a small bowl (like a cereal bowl :p), mix melted butter and brown sugar until well combined. Add Cinnamon Toast Crunch and mix it up making sure all of the pieces are coated well. My camera decided to do some sweet Instagram filters, all by itself. How nice? Line a baking pan with foil and spread the Crunch mixture evenly in pan. Bake for 7-9 minutes, until it’s brown and bubbly. Remove from oven and set aside to cool completely. Apple Filling: Turn oven heat up to 400. Peel and dice apples. Spritz and toss with lemon juice so they don’t brown too quickly. 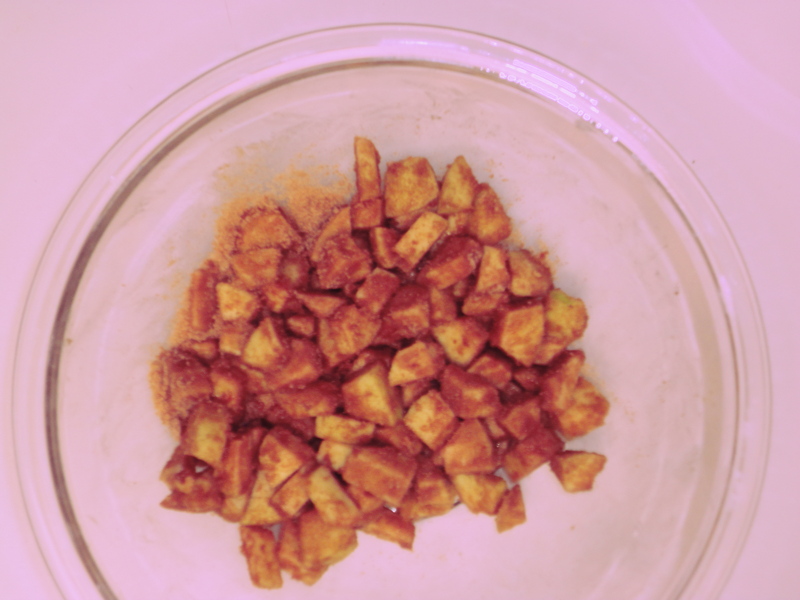 In a bowl, mix brown sugar, flour, cinnamon, and nutmeg. 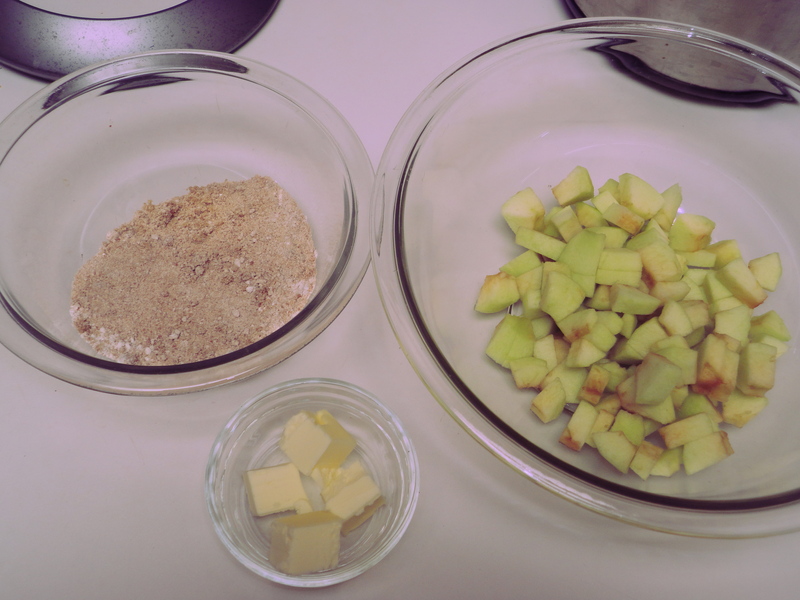 Add dry mixture to diced apples and toss until apples are coated. Schmear butter on a baking pan. Lay it on thick. Place apples in the buttered pan and cover with aluminum foil. Bake until very tender and syrupy. About 30-35 minutes. Now set that side to cool. Keep it in the fridge if necessary. Hey! Before you start the actual ice cream, grab the pan of the cooled Caramelized Crunch. Break it in to bite sized pieces, or whatever size you’d like to have floating in your ice cream. It’ll be kind of oily from the butter- don’t worry about that. This would also be an awesome candy to have by itself, I think. Ice Cream: Whip the heavy cream to stiff peaks. Do not over whip. A stand mixer is convenient at this point, however you can use a hand mixer with whisk attachments or beat it by hand with a plain whisk. Regardless of the method you use, make sure the bowl and whisk are cold. In a large bowl, mix cinnamon (1/2 tsp), vanilla, and sweetened condensed milk and stir well to combine. Add the Caramelized Crunch and Apple filling. 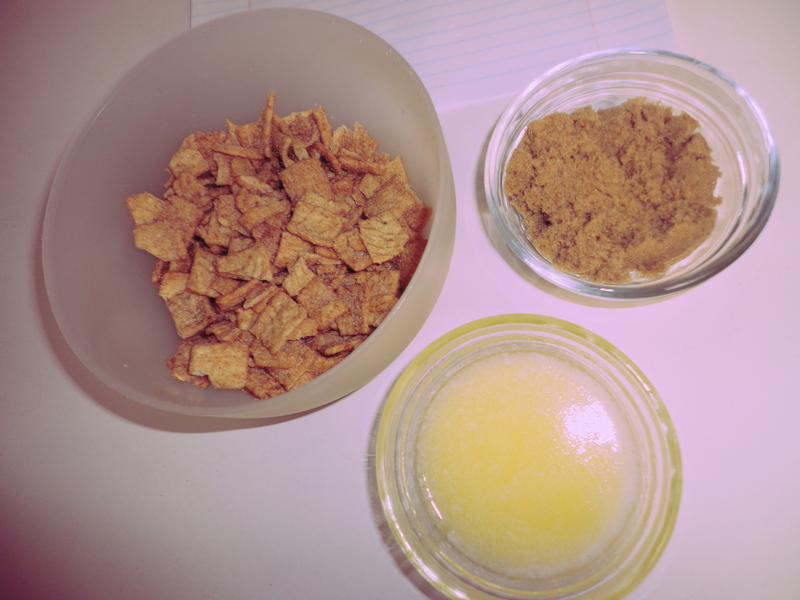 I also added about 1/2 cup regular Cinnamon Toast Crunch to the mix. That’s up to you. Next, fold in the whipped cream. I found that I needed more cinnamon (because I love it) so sprinkle some more if you’d like and fold in. Pour it in to a 2 quart container for convenient storage. Cover and freeze for 6 hours or until firm. NOM YOUR FREAKIN’ FACE OFF TIL YOUR FACE CAN’T FREAKIN NOM NO MO!